Mahatma Gandhi, a name no Indian shall forget, the father of the nation and the tallest hero of India’s independence was shot dead by Nathuram Godse on January 30, 1948. Thus, India marks the death anniversary of Mahatma Gandhi as Martyrs’ Day, credited significantly for uniting several streams in India’s freedom movement with non-violence. 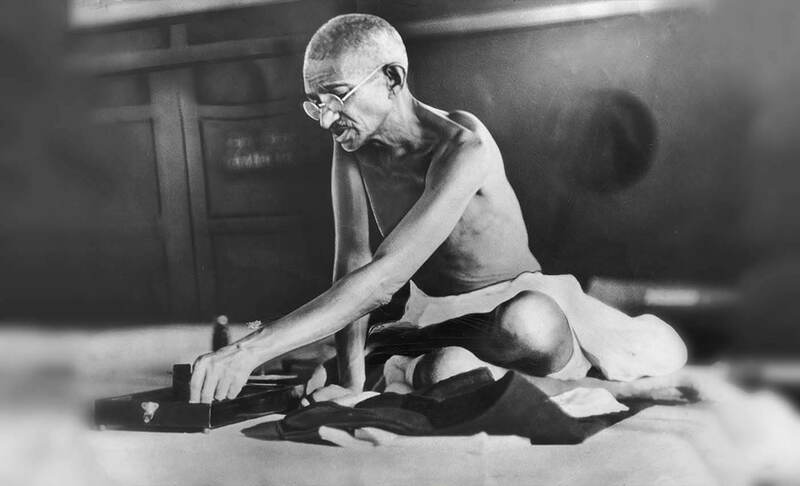 Mohandas Karamchand Gandhi, lovingly called as Bapu by his preachers, fought the 200 years long British rule with non-violent civil disobedience and played a huge role in India’s independence. Not just politically but Bapu stood for the country and his fellow countrymen for various reasons, be it from opposing purdah, chid marriage, untouchability and the extreme oppression of Hindu widows to starting mass moments like Quit India Moment and Salt Satyagraha.Today, the nation pays homage to Father of the Nation Mahatma Gandhi on his 71st death anniversary. Not just his acts, but Gandhi’s words of wisdom shall forever stay etched in our minds. The world recognizes him as Gandhi and highly preach his sayings and quotes. So here are some of the inspirational quotes everyone should know and follow. "You must not lose faith in humanity. Humanity is like an ocean; if a few drops of the ocean are dirty, the ocean does not become dirty." Mahatma Gandhi's words from a lifetime ago resonate so strongly even today where one is surrounded on social media by 1000s of faceless trolls. Of the lot, Instagram is still the most pleasant, I guess.